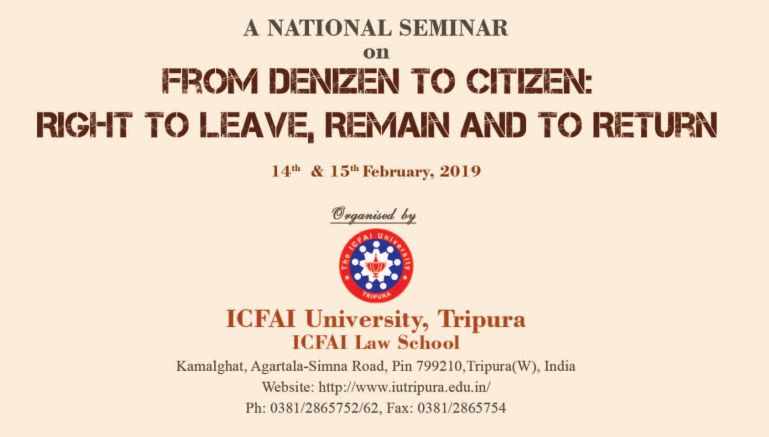 ICFAI University, Tripura is organising a National Seminar on 'From Denizen to Citizen: Right to Leave, Remain and to Return' on February 14-15, 2019. Seminar papers are invited from academicians, practitioners, researchers, scholars, and students on the issues related to specified themes. An abstract along with a brief profile of the authors must be sent through email: seminarils@iutripura.edu.in.